FACEBOOK IS CONSIDERING the possibility of adding a ‘dislike’ button to its site, according to its CEO. In a second public Q&A, Mark Zuckerberg said that the company was “thinking about it [introducing a dislike button],” although the company doesn’t have anything to release soon. Zuckerberg mentioned how there were two ways that the company could approach it. The first would be to introduce a dislike button directly, but the company wants to avoid this as it feels it would be used to shame users. So the one that we don’t want to do. The Like button is really valuable because it’s a way for you to very quickly express a positive emotion or sentiment when someone puts themselves out there or share something. Some people have asked for a dislike button because they want to say ‘that thing isn’t good’ and that not something that we think is good for the world so we’re not going to build that. There’s something that’s just so simple about the Like button. If you’re commenting, a lot of the time you feel like you have something witty to say or add to the conversation. But everyone feels like they can just press the like button and that’s an important way to sympathise or empathise with someone in an important moment… giving people the power to do that in more ways with more emotions would be powerful but we need to figure out the right way to do it so it ends up being a force for good. Other areas that were discussed in the Q&A included why Facebook doesn’t allow you to change your name (being connected to your real world identity makes you more accountable, and easier for people to find), and the reason why it has so many privacy updates (it updates it once a year to reflect product and policy changes from the past year, especially since technology evolves and more services are covered). The study we did was because there was press that seeing posts about happy moments in people’s lives on Facebook made people sad because they feel like they’re missing out. We don’t want to make people sad. We have a responsibility to understand the impacts of Facebook… If something’s happening on Facebook that’s going to have a negative effect on society, I think it’s our responsibility to change it to have a more positive effect. We need to make a change so if an engineer wants to run a test, people at Facebook check to make sure it’s something acceptable to test. 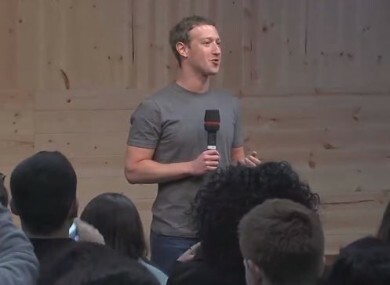 The hour-long Q&A with Zuckerberg can be watched here. Email “Could a dislike button be on the cards for Facebook?”. Feedback on “Could a dislike button be on the cards for Facebook?”.